The Mayo Society for the Prevention of Cruelty to Animals CLG is a volunteer run charity that rescues, rehabilitates and re homes animals in need from all over Co. Mayo in the West of Ireland. We can be contacted on Tel: 086 803 2592 between the hours of 9am and 6pm or alternatively you can contact us using our contact page. 10am–12.30pm and 3pm–6pm Mon – Saturday. We are always extremely busy with the animals at the Rescue Center, from caring for the animals, to vet visits, walking cleaning etc. To make sure that your visit is successful we ask that before you visit the Rescue Center, please contact us to make an appointment. If you turn up without an appointment, we may not be able to show you around, so that you do not have a wasted trip, please contact us beforehand. All dogs and puppies at the The Mayo Society for the Prevention of Cruelty to Animals CLG are fully vaccinated, treated for worms and fleas and neutered (when of age). We ask an adoption fee €80 and this goes some way to cover the costs whilst they are with us. If there is any spare it goes towards helping other dogs that come into our shelter. Cats and kittens at the The Mayo Society for the Prevention of Cruelty to Animals CLG are fully vaccinated, treated for worms and fleas, neutered (when of age), cat-flap and litter-trained, Adoption fee €40 and this goes some way to cover the costs whilst they are with us and also goes towards helping other cats that come into our shelter. Keep scrolling down to view more pages, or to visit a specific page, please click on the tabs at the top of the site. In Memory of our all our pets gone to Rainbow Bridge. If you have a pet that has gone to rainbow bridge and would like to remember them here, please send in the details. Taking it hard? It is perfectly understandable for you to be experiencing a serious grief over the death of your beloved pet! And don’t let anyone belittle your loss or take away your right to a fitting bereavement. One of the best things you can do to help yourself is come to the realization that although most outsiders don’t understand, you are perfectly justified in your deep feelings of grief and loss. Why am I devastated over the loss of my pet? I am more upset over this than the death of my (friend, relative). Is this wrong? What are the normal signs and symptoms of pet death bereavement? What can I expect? How can I help my children deal with the death of their pet? How can I deal with people who don’t understand what I am going through? I just can’t cope with this loss alone. Where can I get help? You may be surprised at the intensity of your sadness when your pet dies. You may wonder if you are weird to be grieving so deeply over the loss of “just an animal”. NO, you are not weird or abnormal. It is normal and healthy to mourn the loss of a deep love bond, whether that tie was to a human or an animal. Outsiders may not understand, so just console yourself with this thought: You hurt deeply because you loved deeply! It shows that you have a big heart and compassion for all of God’s creatures. This is something to be proud of, not ashamed of or embarrassed over. You have lost a beloved member of your family and this deserves a proper bereavement. It might help you to think realistically about your relationship with your lost pet. The love you received from him was different than the complicated love relationships you might have with humans. Your pet likely adored you! He was always there for you, never criticized you, never held grudges, and always forgave you, no matter what. Are there any humans in your life that have ever given to you this selflessly? For all this love, your pet expected no more from you than a good belly rub or ear-scratching, right? A pet can be the only source of pure, unconditional love that you will ever know. They winnow their way into your heart and become a trusted member of the family; a comforting presence in your intimate day-to-day life. A human acquaintance or relative that doesn’t live with you just cannot impact your emotional life to that degree. You also receive tactile comfort from a pet; touching, stroking, rubbing their fur. You might even kiss or hug them and confide your deepest thoughts to them, knowing they will never betray your secrets. Your pet has probably seen you naked, in all your glory, and he never told anyone about your big belly or sagging behind! As Sandi described in our lead story, your pet likely expressed pure joy and excitement when you returned home after an absence. Did your grandfather ever do that? I am sure that you loved your grandparent, or Aunt Nelly, or even your co-worker who was lost in an accident. And you will grieve properly for them. But the unconditional love your pet gave to you created a different and very strong emotional attachment, a comforting presence that is sure to missed heartily. So our message is this: don’t feel guilty for hurting deeply over the death of your pet. Stop comparing the pain of that loss to how you felt about the death of humans in your life. These are two very different kinds of losses, and naturally will be mourned in different but appropriate ways. These beauties are Charlie and Zelda. Zelda died last August and Charlie died in March after a life of love and enjoyment with Michael, who sent these pictures in. 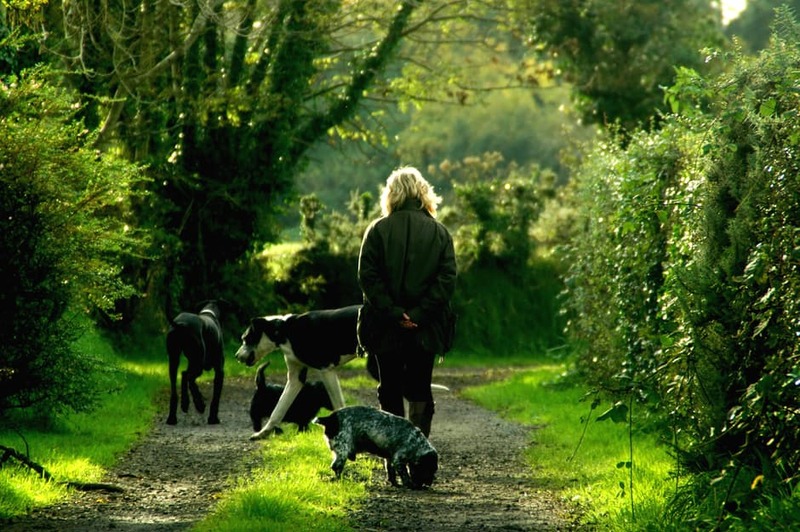 We are so sorry for your loss and seeing these pictures (their favourite woodland walk in Colooney) and hearing how you describe them just says so much about the joy of rescuing dogs and the long years of companionship they will bring. Rest in Peace Charlie and Zelda. As a non-profit rescue shelter that covers all the County of Mayo, in the West of Ireland, we rely solely on the assistance and care of hard working volunteers. While being part of a volunteer team is great fun and a wonderful way to make new friends, our main aim is to prepare the animals for a new life as a family member in a loving home. Volunteers play an important part in the socialising, confidence building, and in many cruelty cases trusting humans again. Take this chance to take care of abused, abandoned and unwanted Dogs & Cats at our rescue center in Ballyhaunis. We have a cattery full of beautiful cats and kittens that need feeding and caring for on a daily basis. There is also the dogs that need walking, feeding and giving cuddles. Fundraising: If you can help in any small or large way, it will be greatly appreciated. A few hours here and there will go along way to raising much needed funds to pay vet bills, food etc! Cleaning and laundry: Kennels and catteries cleaning out. Putting animal blankets, toys and towels into the washing machines and dryers, so that the animals have clean bedding. Food bowls need hand washing, sorry no dishwasher! Food: Serving the food into the bowls ready for breakfast/dinner time. Fostering: To give an animal time with a family whilst he/she is waiting for their forever home is so rewarding. Not all animals can cope with the new stresses of a rescue center and will thrive far quicker in a home environment. This also prepares the animal for their forever home and enables the center to accommodate and care for more animals. Office support: Filing, answering the phone, photocopying. Veterinary visits: Collecting/ dropping off sick animals. We are a very friendly group of people and you will be made very welcome. 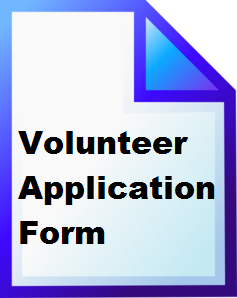 If you are interested, please fill in the volunteer application here on line and just click send. For membership please contact: 087 4477114 or down load the application form here. Click HERE to download the membership application for in word. Click HERE to access our on line membership form.